IKARUS does not charge any extra fees for payment via PayPal. If you pay via PayPal you`ll get your download immediately after payment receipt. By this way you can get any download 24/7. 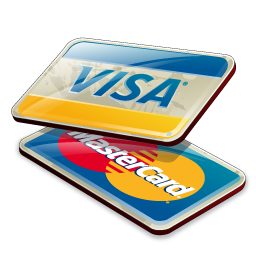 IKARUS does not charge any extra fees for payment via CreditCard. If you pay via CreditCard you`ll get your download immediately after payment receipt. By this way you can get any download 24/7. Selecting prepayment please wait until you receive the invoice via mail. invoice number and bank information. Please provide all this information when making your payment.